Caring for people with various mental health conditions is a rewarding job. As a mental health nurse you can help those living with mental health conditions and play a vital role in supporting them, and their families and carers. Professional accreditation - the course is approved by the Nursing and Midwifery Council. We’re No.1 London modern university in the UK for Satisfied overall with course in Health Professions (Guardian League Table 2018) - which means happy students. Great professional links - graduates of this course are eligible to register as a mental health nurse with the Nursing and Midwifery Council. We’re affiliated with world-renowned hospitals and Trusts in London and the South East, so we’re industry relevant. Fantastic work experience opportunities - you’ll work in a variety of clinical settings such as NHS Trusts, community placements, independent sector and voluntary sector organisations. We have a counselling and communication suite as part of our facilities for role playing realistic work-based scenarios. You can choose to study mental health nursing at our Southwark campus, right in the heart of London or at our Havering campus based in Harold Wood, Essex. 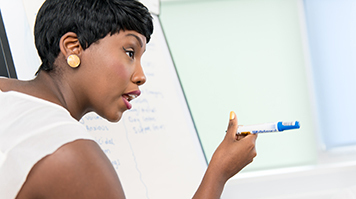 Having seen the positive effects treatment can have on those diagnosed with a mental health illness, Glynis Oshodi decided to study the BSc (Hons) Mental Health Nursing course at LSBU. During the course, you’ll gain practice experience in a wide range of in-patient and community settings, reflecting the diversity of mental health specialities. This might include subjects such as acute psychiatry, child and adolescent mental health, forensic psychiatry, eating disorders, addictions and rehabilitation. This module introduces the place and value of inter-professional and collaborative working in health and social care delivery. The module aims to support the development of the necessary communication, personal, partnership working and reflective practice skills required to meet the needs of clients/carers and diverse populations who are at the centre of inter-professional health and social care delivery. You’ll work collaboratively on-line to explore and develop understanding of the purpose, scope and range of inter-professional and collaborative working. This module introduces the nature of evidence in health and social care and the importance of evidence-based practice for service users and their safety and quality of experience. You’ll develop skills in accessing evidence, gain familiarity with the library, including use of electronic databases, and learn how to use the university’s referencing system for your material. You’ll learn key terms relating to research and evidence-based practice and be introduced to an evidence-based practice model. The module also sets out the context for the conduct of health and social care research, including funding and ethical aspects. This module provides understanding of the structure and function of many of the body’s systems and how the human body maintains health; homeostasis is a theme that runs throughout the module. As the structure of organs and body systems is closely linked to their function the two sciences of anatomy and physiology cannot be separated; structure determines the function(s) each organ or system can perform. The content of this module has been selected and developed to equip student nurses with the necessary knowledge to inform nursing practice and provide the underpinning for progression throughout the course. This knowledge will enable you to go on to develop a good understanding of pathophysiological process and pharmacology. Mental health care is a human right. This module forms the first field specific module on the BSc Mental Health Nursing programme and focuses on understanding and exploring the role of the mental health nurse and the context within which mental health care is being delivered. The module outlines the political, historical and current changes taking place that affect understanding of mental health promotion, prevention and building mentally healthy communities. The module considers a number of nursing and health related models and outlines the lifespan approach to bio-psycho-social human development, mental health and wellbeing and how context influences local, national and international perspectives of mental health care delivery. The module draws on theories and practical application across mental health care and the role of the mental health nurse in harnessing mental wellness for all. This module forms the first field specific practice module on the BSc Mental Health Nursing programme. Therefore, this module focuses on understanding and exploring the clinical practice skills required to equip you on your journey to become a mental health nurse working across the different contexts where mental health care is delivered. The module will consider the lifespan approach to bio-psycho-social human development, mental health and wellbeing when considering the clinical practice skills required to adequately provide safe and effective health care to people with experience of mental illness, which it is well known are effected by physical as well as mental health issues. Therefore a holistic assessment of individuals is provided, to ensure No Health without Mental Health and to ensure, Every Contact Counts is being delivered by competency clinicians. This includes preparation to work across mental healthcare settings as an individual practitioner (as appropriate), as part of a team and in partnership with service users/clients and other stakeholders. This module builds upon the concepts of inter-professional learning and collaborative practice gained in year one of the programme and expands to look at the environment, teamwork and collaboration. It will promote the exploration of the complexities of inter-professional practice and collaboration in the clinical situation working with peers and health consumers. This module considers how research questions are generated from practice with application to mental health nursing. The steps in conducting research and audit and the main research methods in health and social care are explained and associated ethical aspects are discussed. Methods of analysing and presenting different types of research data are introduced. The rationale for appraising research is considered and critical appraisal tools are reviewed. The module equips mental health nurses with the core skills and understanding to appraise evidence and assess its appropriateness to be implemented into practice. This module offers the opportunity to investigate and complete an informed debate around the pertinent trends, latest evidence, political directives, health and social care challenges, as they emerge. This module can therefore continue to be updated in terms of sources of evidence and areas of debate as students become confident to identify and draw upon the latest researched evidence. The process of learning will aim to further enhance enquiry skills, presentation skills and contemporary knowledge to further influence and inform your practice and best serve the clients and family you’re encountering in your clinical placement settings. 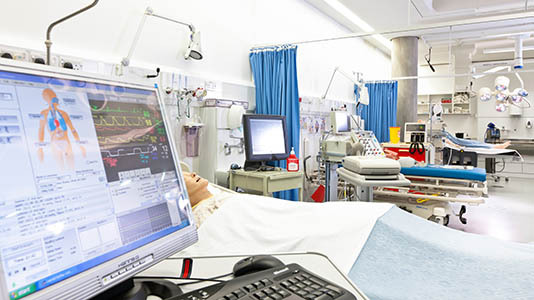 This module focuses on understanding and exploring the role of the mental health nurse within acute and critical care settings, including offender and accident and emergency settings. The module will outline consideration of managing crisis situations across the lifespan. 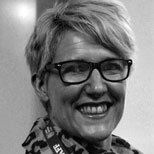 Crisis assessment, management and care packages that promote understanding of the mental health nurses role within the broader clinical team and alternative third sector services within community settings is taken into consideration. This ensures a holistic approach to health and social care initiatives that promote and ensure people with acute and crisis situations are carefully managed in a way that will continue to promote and ensure their lives are improved towards independent living and readiness to return to work. Early interventions and crisis management are strong features of this mental health module alongside the theoretical underpinnings of understanding life crisis and social circumstances that may exacerbate vulnerability situations. This module forms the second year practice field specific module on the BSc Mental Health Nursing programme. The module builds upon year one practice module, to focus understanding and practical application of a variety of evidence based interventions use within the clinical practice setting. These interventions are a required knowledge base to equip you on your journey to become a mental health nurse working across the different contexts where mental health care is delivered, as someone able to utilise a tool kit of approaches for your client populations. Clinical support will be needed from the practice mentors, and from the module team, to ensure you’re progressing with application of the knowledge base within your clinical placements. The module also includes preparation to work across mental healthcare settings as an individual, safe and effective practitioner (as appropriate), engaging fully as part of a multidisciplinary team and in partnership with service users/clients and other stakeholders. This module is the final inter-professional learning module that will explore leadership, quality improvement and change within organisations from an inter-professional perspective. The module will look at strategic, evidence based approaches to change management in a range of environments. 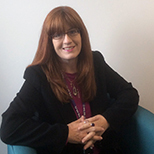 It will integrate the perspectives of service users and take an inter-professional approach. A key aspect of evidenced-based practice is the implementation of available research into practice. To equip mental health nurses with the core skills and understanding be able to implement appropriate evidence and utilise and evaluate in practice. Human relationships and therapeutic encounters are central tenets of mental health and wellbeing. Understanding how to interact, engage, challenge and support people through their most vulnerable times is the aim of this module. Alongside understanding self, is the need to have knowledge and awareness of the many competing demands (of the individual, their community, the organisation etc) within which these encounters take place. Many mental health care contexts and environments are highly emotive and demanding. Therefore preparing students to fully understand, engage and work within these areas to become proficient and resilient, authentic leaders and effective practitioners; this requires a level of competence in the theoretical application of knowledge and skills explored in this module. This module provides the skills and knowledge to deliver a range of psychologically focussed interventions adapted from CBT and DBT to meet a wide range of differing mental health presentations in either inpatient or community settings. These are designed to enable clients to move more firmly into recovery. The core aims of the module are to give you the therapeutic skills to offer a pragmatic and functional style of mental health nursing designed to enable clients to improve their level of self- management and enhance clinical improvements towards recovery. Care delivery is based on interventions that are informed by behavioural change models and strategies, often with high use of self-help models and manuals informed by cognitive-behavioural principles. Examples include behavioural activation, exposure, cognitive restructuring and reframing, panic and anxiety management, CBT informed sleep management, and computerised packages as well as physical exercise, nutritional education and medication adherence. The DBT element provides help with distress tolerance, emotion regulation and mindfulness. If you’d like to choose mental health nursing as a career, this course will equip you with the skills to work in a diverse range of mental health nursing roles, across a range of settings. This includes the NHS and the private health care sector. If you successful complete the course you’ll be able to register with the Nursing and Midwifery Council (NMC) as a Registered Nurse - Mental Health. Recent graduates from this course have gone onto a range of nurse practitioner roles within mental health nursing. Day-to-day, the work broadly involves working in the community and hospitals taking on a variety of tasks – from giving patients medication, to assessing and supporting their needs. With experience, there are lots of opportunities for specialisation as your career progresses. You might choose to specialise in alcohol or substance misuse, forensic psychology, psychotherapeutic interventions or working with offenders. You’ll also be able to apply for further study at postgraduate level. Once you gain a significant level of professional practice experience, you’ll be able to consider our part-time MSc Cognitive Behaviour Therapy and MSc Mental Health Practice (Older People). You can find out more about these courses through our online CPPD prospectus. The course is linked to the Nursing and Midwifery Council which regulates nurses and midwives in England, Wales, Scotland, Northern Ireland and the Islands. 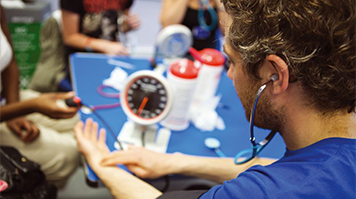 During the course you’ll spend 50% of your time involved in academic study and 50% in clinical practice, within a broad variety of healthcare settings. A clinical practice placement allows you to put theory into practice by working with a range of health professionals in clinical situations to develop the skills, knowledge and experience required to become a competent nurse. It can be difficult at first but practice learning is one of the most interesting and exciting aspects of learning to be a nurse. 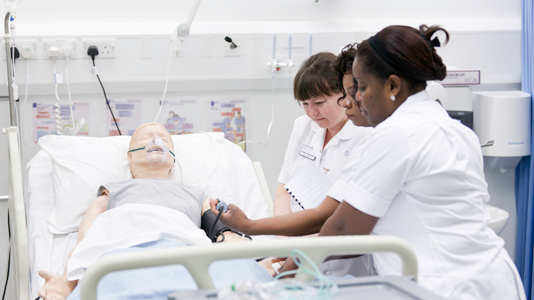 At LSBU, you’ll experience a variety of clinical settings such as NHS acute Trusts, community placements, independent sector and voluntary sector organisations. Examples of current placement areas include Camden and Islington NHS Foundation Trust for students based at our Southwark campus, and South London and Maudsley NHS Foundation Trust for students based at our Southwark campus. We’re proud to be the only provider for the North East London Foundation Trust (NELFT). Havering students are placed at this Trust. You will have two clinical placements. These are designed to introduce you to working in a professional setting and to develop essential care and basic assessment skills, infection control and learn about safeguarding vulnerable people. You will have three clinical placements of around eight weeks each and building on the experience gained from year one will begin to take on more responsibility, progressing your clinical reasoning skills and begin to look after one or two patients of your own under supervision. Year three will involve two clinical placements, plus one four week elective placement in which the you can choose a speciality (e.g. 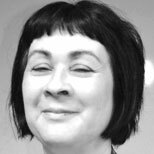 working with Clinical Nurse Specialists, specialist services or independent and third sector providers), or a different context of care (e.g. prison, private health care facility, social care, charity, hospice etc. ), or a lived experience of a certain condition (e.g. charity work, carer shadowing, etc.) During this year, you will require less supervision and will be responsible for a small group of patients making confident, proactive decisions for their health and management. While you’re in the clinical placement we’ll ensure that our nursing students receive continuous support and guidance from a dedicated mentor and practice learning teams made up of lecturers and practitioners. 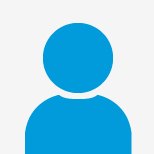 Allan has is qualified in Adult, Mental Health, Learning Difficulties and Ophthalmology and has experience of working in various hospitals across the UK. 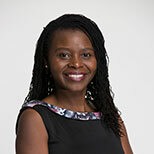 Manyara Mushore is Course Director for BSc Mental Health Nursing, and has research interests in the interface between physical health and mental health in people with Severe Mental Illness (SMI). Our counselling and communication suite is the ideal place for Mental Health and Learning Disability students to role play realistic work-based scenarios. It contains two adjoining rooms with a one-way window and audio link, that allows students to practice one-to-one situations with 'clients' while they are monitored by teaching staff in the adjoining room. 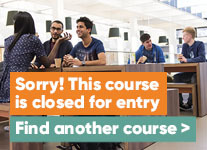 Please note: this course is not currently recruiting for students on our Southwark campus. Select a case study and read about practical project work, students' placement experiences, research projects, alumni career achievements and what it’s really like to study here from the student perspective. Alternatively, read about The People's Academy, which aims to revolutionise health and social care through citizens collaborating and participating in advocacy and co-production of education, research and innovation.